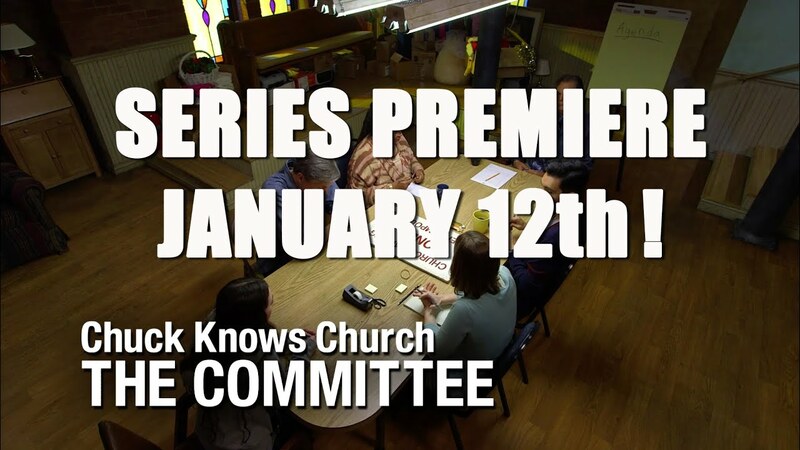 Chuck Knows Church is expanding to a new series, premiering January 12, 2015. 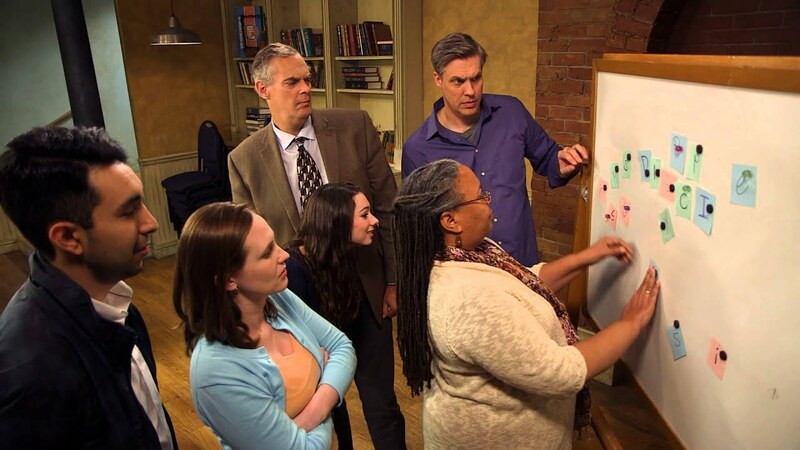 Get a study group together now in your church to watch and discuss. Park Grove Community Church has lost its way, lost its pastor and is closing its doors. . .unless it reinvents itself, despite itself, with the help of Chuck. Will it become a vital congregation again? Watch starting January 12, 2015! Park Grove Community Church has lost its pastor and is closing its doors, unless it reinvents itself, despite itself... with the help of Chuck. 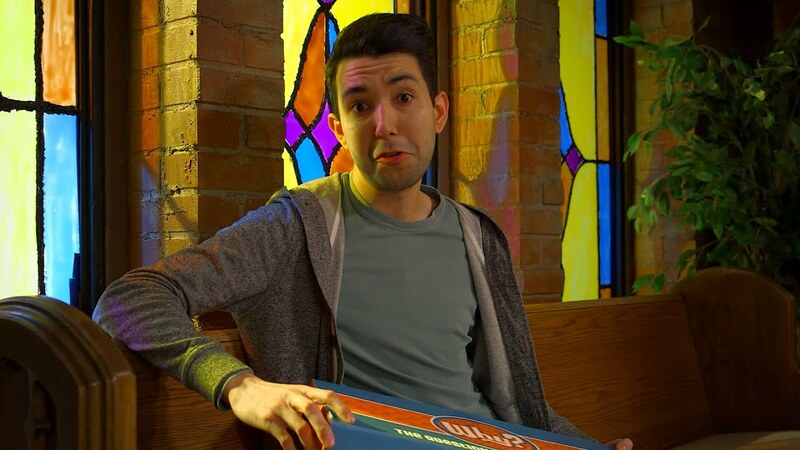 A spinoff of the popular series “Chuck Knows Church”. 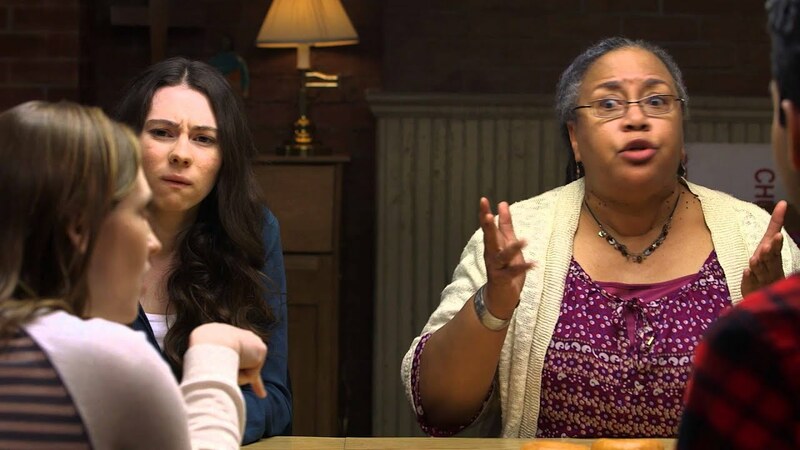 THE COMMITTEE is a humorous and poignant series that examines the struggles congregation’s face as they look toward a preferred future. 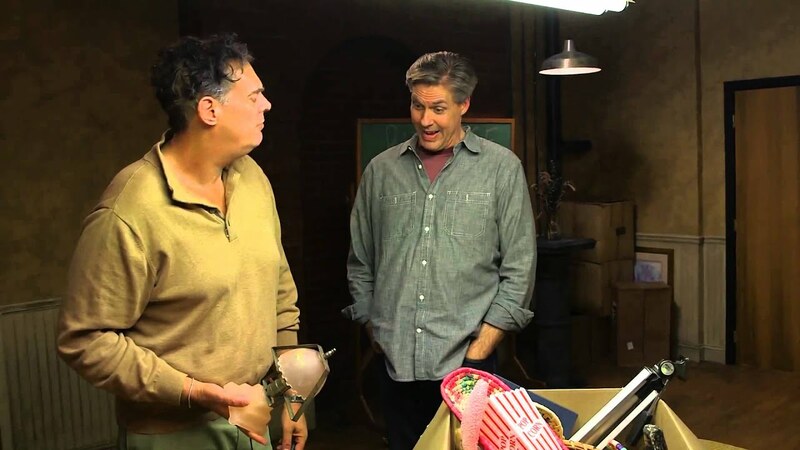 A new "The Committee" episode is released each month. In-between enjoy The SUB-Committee shorts or the original series. Use each episode in fellowship groups, worship teams, small groups and late-night snack viewing! The Committee: "Pilot". A new series from the producers of Chuck Knows Church. Park Grove Community Church has lost its pastor and is closing its doors, unless it reinvents itself, despite itself...with the help of Chuck. After you watch, dig deeper and watch the webinar. 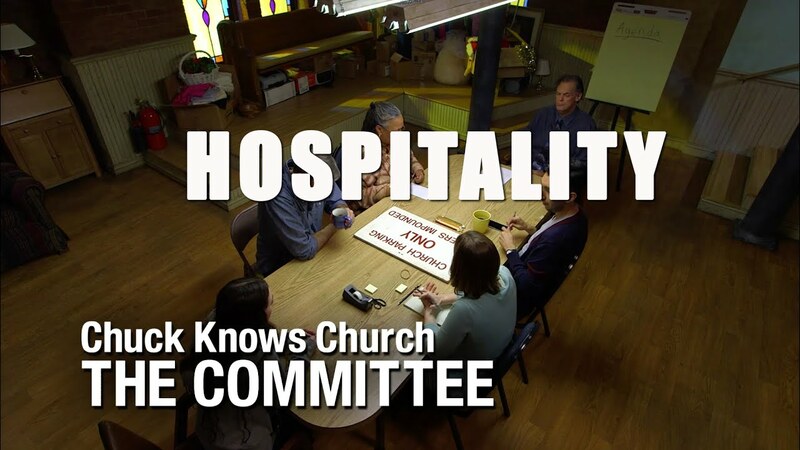 The committee members struggle with understanding the true meaning of hospitality. Does your church have a heart for hospitality? After you watch, dig deeper: join the free webinar. Glenda, Park Grove's Choir Director, has a plan! SUB-committee videos are just for fun, but with a tiny teaching element thrown in. Mr. Riley thinks he the answer to all of Park Grove's problems! SUB-committee videos are just for fun, but with a tiny teaching element thrown in. Does your church membership look like the surrounding community? If not, why not? Mr. Riley has found his favorite lamp! SUB-Committee videos are just for fun, but with a tiny teaching element thrown in. Does your church understand its purpose in the community? Does it understand why it exists? Chuck helps the members of Park Grove Community Church to understand their "why". Daniel does a sales pitch for "The Why Game"! 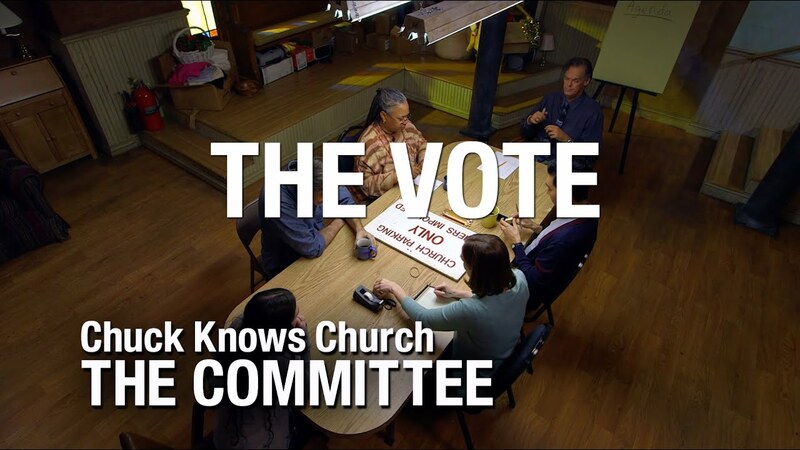 Watch "The Purpose" episode of The Committee before watching this SUB-Committee. SUB-Committee videos are just for fun, but with a tiny teaching element thrown in. Glenda has written the PERFECT Mission statement for Park Grove Community Church! Well, let's see what you think. SUB-Committee videos are just for fun, but with a tiny teaching element thrown in. Hannah is beginning to think Park Grove just may be her church home. Or not. SUB-Committee videos are just for fun, but with a tiny teaching element thrown in. 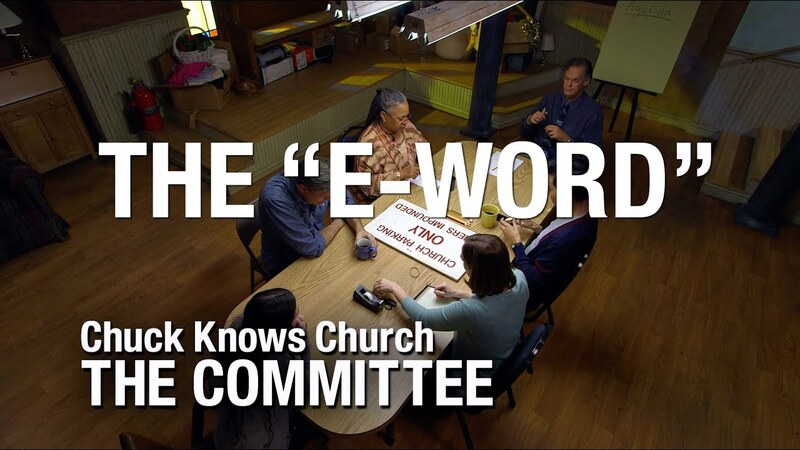 What's your church's relationship with the "E-Word"? Do people run when they hear it? Chuck helps the members of Park Grove Community Church learn how not to be scared of evangelism. Glenda has an idea for the next worship service. What do you think? Ever experienced something like this? 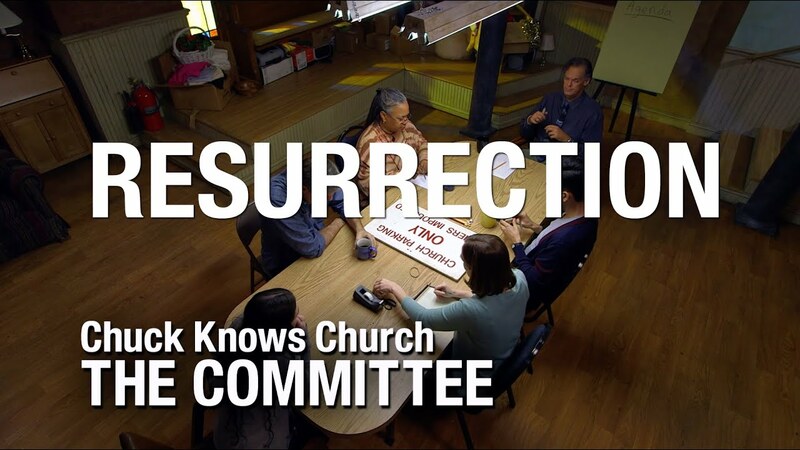 Watch the "Evangelism" episode of The Committee for more insight. SUB-Committee videos are just for fun, but with a tiny teaching element thrown in. Who lives in the community surrounding your church? Do you know them? What does your church offer them? Chuck uses Dr. Seuss to help Park Grove Community Church understand the who around them. How does your congregation intentionally make disciples? Do you have a system in place? 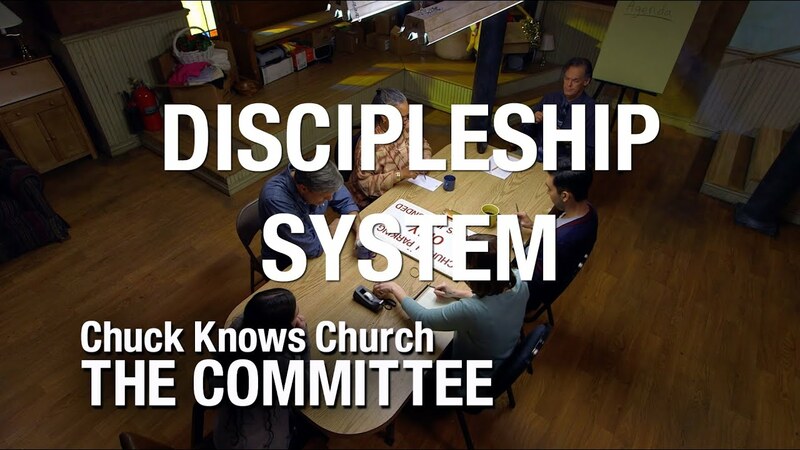 Chuck acts as the referee with the committee as they struggle to understand what a discipleship system is at Park Grove. Hannah challenges her fellow committee members to name all 12 disciples! Don't miss this one! 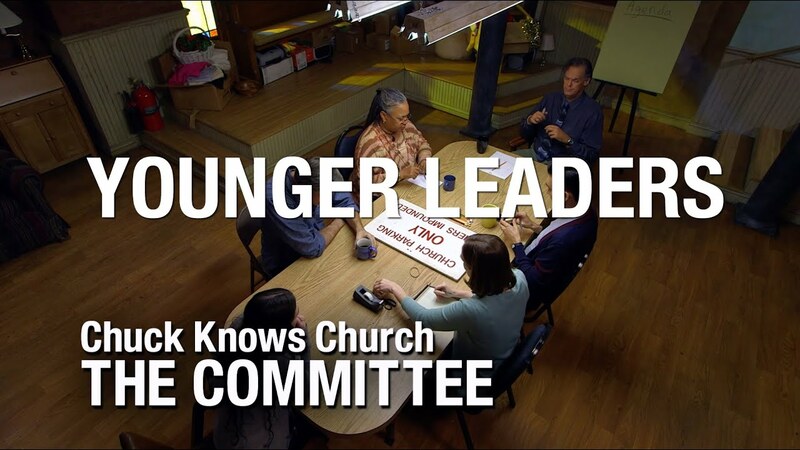 Church SUB-Committee videos are just for fun, but with a tiny teaching element thrown in. The committee members have fun with a word game! Don't miss this one! 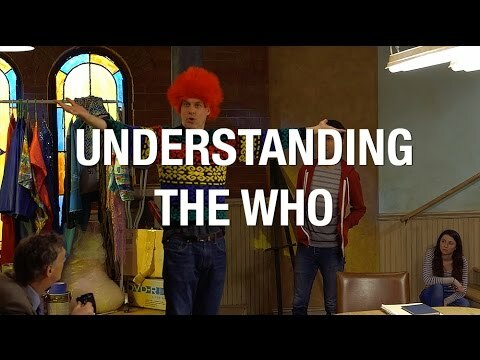 Church SUB-Committee videos are just for fun, but with a tiny teaching element thrown in. Churches that innovate tend to thrive. But how does this work? 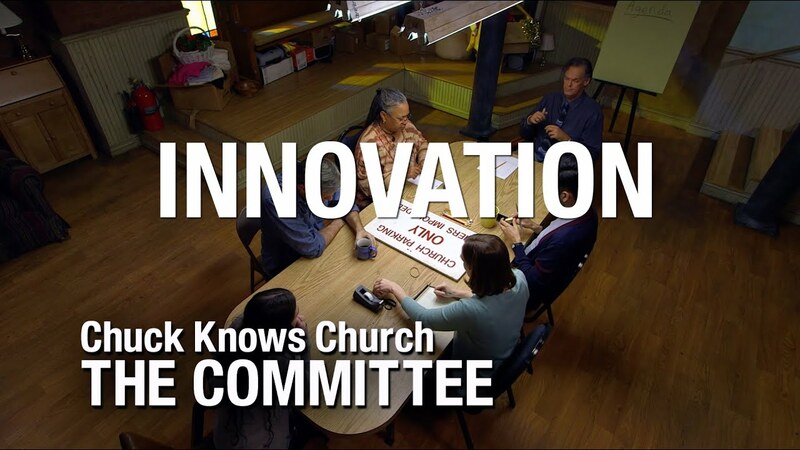 See Chuck and The Committee deal with the lights going out in the church while understanding the meaning of innovation. Is your congregation innovative? Mr. Riley decides to be "innovative" and design Park Grove Community Church's Website! Oh no. Don't miss this one! Church SUB-Committee videos are just for fun, but with a tiny teaching element thrown in. Small Groups in any size congregation tend to create deeper relationships and a stronger commitment to the Christian faith. 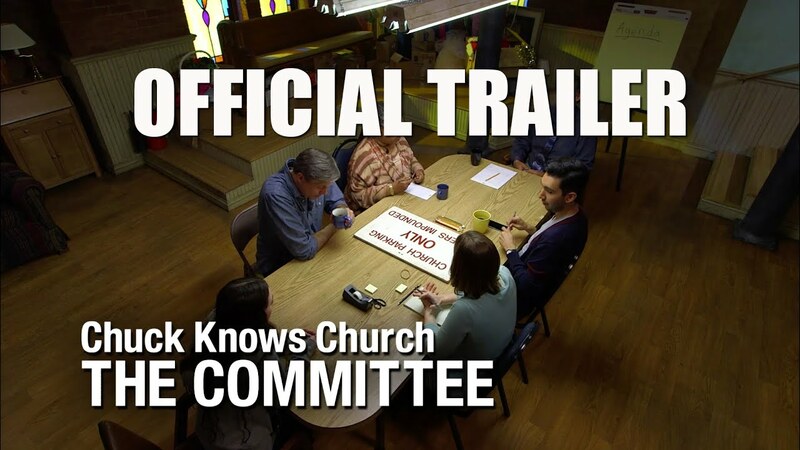 In this episode, Chuck decides to help Park Grove Community Church become healthier by inviting the committee to discuss the importance of small groups. Mr. Riley and Glenda host the first Park Grove Community CHAT. Their first guest: Chuck! Their first topic: Small Groups. Watch to the very end! Glenda sets up for her Tuesday night Small Group, and gets a little confused as usual. SUB-Committee videos are just for fun, but with a tiny teaching element thrown in. Is your congregation offering children an experience that will surround them with a community of love? 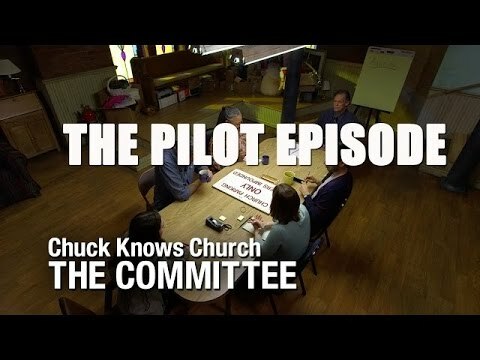 Chuck and "The Committee" ask these important questions and laugh and learn along the way. Mr. Riley and Glenda conduct the first class of "Mr. Riley's School of Acolytes". They test Andrea's knowledge of church terms. Guess who knows more? Although this is for fun, is this how we sometimes treat children in our congregations? Does your congregation think stewardship is merely an annual campaign? Chuck and the committee struggle with Mr. Riley to understand the full meaning of Stewardship. Mr. Riley tries to sell one of his stewardship campaign slogans to his fellow committee members. You can guess what happens! Does your congregation have committees that have forgotten their purpose? Are they stuck and rarely accomplish anything? 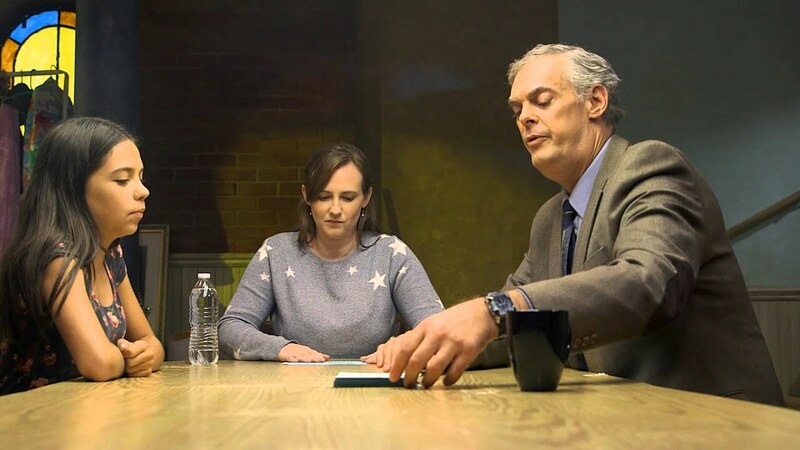 Watch this episode of THE COMMITTEE for some hints. Chuck may be feeling what you have felt at one time or another. Chuck is testing the committee's knowledge of the top ten ways for a successful committee. SUB-Committee videos are just for fun, but with a tiny teaching element thrown in. 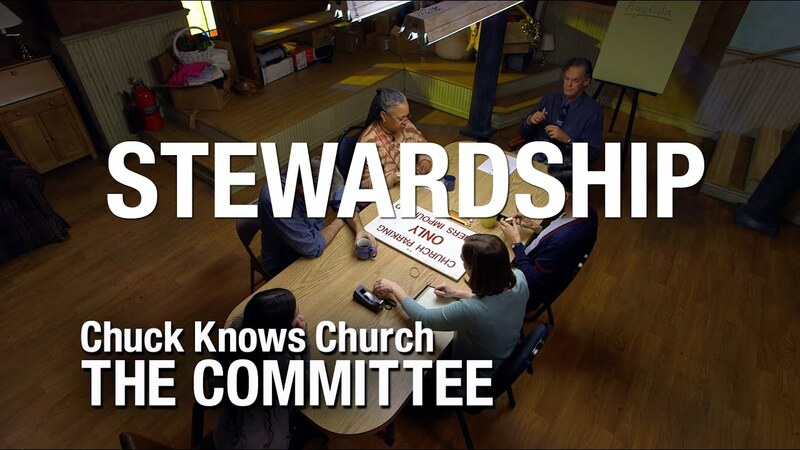 Watch the "Stewardship" episode in your church. It's Christmastime at THE COMMITTEE! Older adults in power know the gospel is about, in part, denying yourself and giving yourself to Christ. And those in power must be willing to share power based on that gospel message. 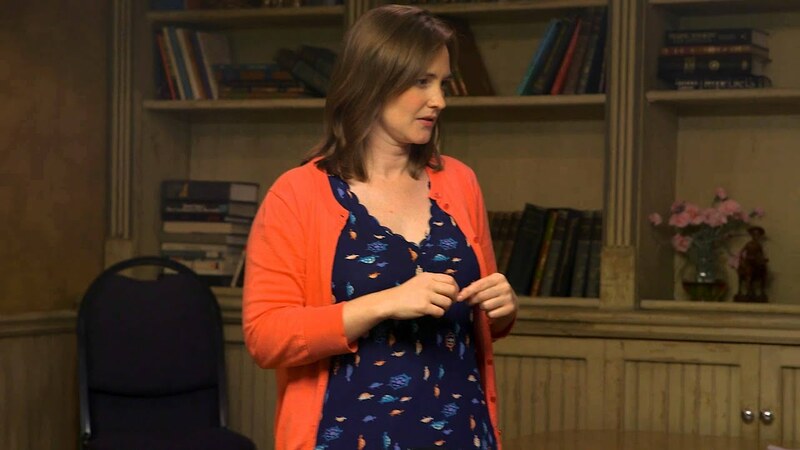 Watch this episode of THE COMMITTEE for some hints how older and younger adults can work together to build up the body of Christ. Park Grove has decided to launch a brand new contemporary worship service! Yahooo! But, wait! Have the committee members thought this through? Chuck has some advice. As the committee members play the Jenga Game, they discuss that older leaders have to make mental and physical space for younger leaders. And Chuck calls them to action! Watch this episode of THE COMMITTEE for some hints how your church can thrive rather than just survive. Hint: it has something to do with Christ. The second to last episode of the popular series, "The Committee". Where is your church in its lifecycle? Where do you see signs of rebirth? What is your big idea? Mr. Riley is passing his leadership responsibilities on to Hannah. And, as usual, he goes a little overboard. 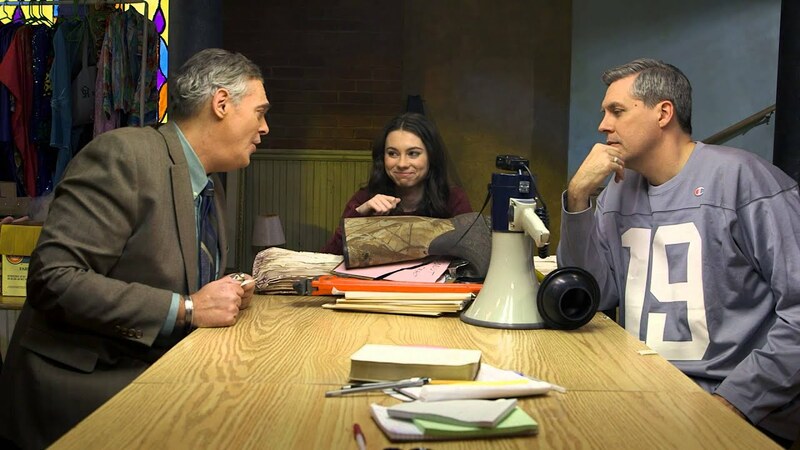 The final episode of "The Committee" webseries.